Even single-digit wind chills didn’t stop over 1,000 people from getting 2019 off to a great start with a guided hike at one of 19 Kansas state parks. This is the fourth year Kansas state parks have participated in the nationwide First Day Hikes. The program invites the public to get a new year started with some time outdoors with family and friends. Most of the First Day Hikes in Kansas were one to three miles over easy to moderate terrain. Several parks reported over 100 people participated in their hikes, including an estimated 300 at Cheney State Park, 250 at El Dorado State Park, 208 at Clinton State Park and 170 at Perry State Park. Many treks traced the shores of major reservoirs and offered great wildlife viewing as well as exercise. State park staff members lead the groups to provide educational information. Most events also offered snacks, like hot chocolate, coffee and cookies. Linda Lanterman, Parks division director for the Kansas Department of Wildlife, Parks and Tourism, said many who attended were experiencing a state park hike for the first time. Most end up coming back to the park, and possibly others, for hiking and other outdoors opportunities. "These hikes are helping people get out there and get healthier,” said Lanterman. 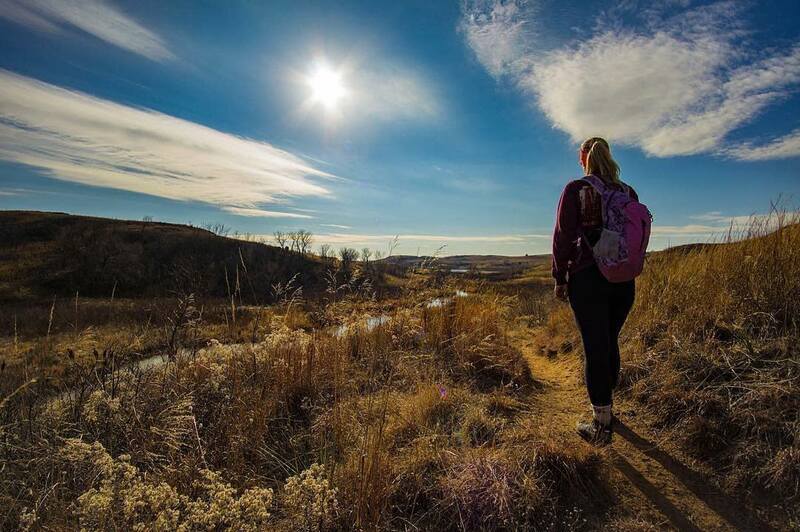 “It jump-starts the process for them and all of the sudden, they find themselves saying ‘I can do this!’"
As well as legendary scenery, camping, fishing, water play and wildlife viewing, Kansas State Parks offer access to over 1,000 miles of Kansas trails. Some Kansas state park trails have been rated as among the best in the nation for hiking, cycling and horseback riding. It can all be enjoyed for as little as $5 for a one-day vehicle pass which can be purchased at self-serve stations at most state parks. Annual permits purchased at state parks cost $25. Park users can also purchase a 12-month Kansas State Park Passport (annual pass) when they register a vehicle in Kansas for $15. Here are some reports the 2019 event. About 20 bald eagles were seen between the two groups hiking at Pomona State Park. Staff reported a pair of hikers that did the First Day Hike at Perry State Park in the morning, then rushed to Pomona State Park for their afternoon event. Several other people did at least two First Day Hikes in the same day. Age of hikers ranged from six to 72 at Perry State Park. WIBW television, channel 13 from Topeka, covered the hike as did Dirty Girl Adventures doing a live stream. “We had a total of 48 hikers this year, which blew our old record out of the water,” came from Kanopolis State Park.